Completing the new generation of the A5 family, the all-new 2018 Audi A5 and S5 Cabriolet will make their US debut at the 2017 North American International Auto Show. 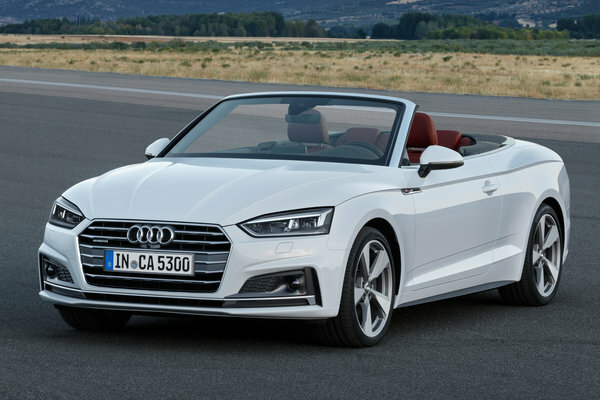 With a fully automatic soft top that opens in 15 seconds and closes in 18 seconds at speeds of up to 31 mph and seating for up to four, the A5 and S5 Cabriolet are the perfect combination of design, top-down driving and dynamic performance. An open-air...Read.